This homeowner was interested in a building to keep his goats out of the weather. APM Buildings designed a 9/12 pitch truss to support light storage and provide a unique look for the building. In house 3-Ply 2x6 Tuff Posts were installed for the main support of the building. 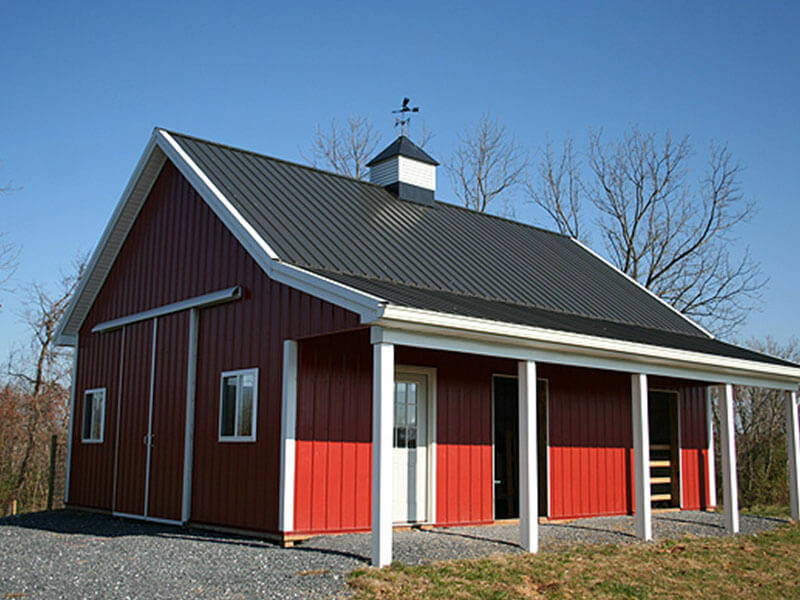 A 36' cupola with weathervane was added to accent the roof and provide extra ventilation. Translucent panels down the back eve wall allow natural light to enter the building for the animals. 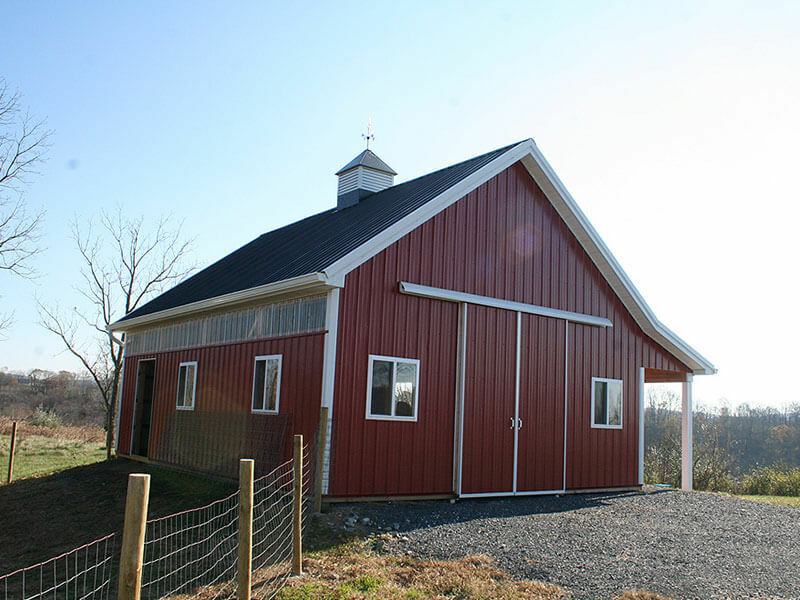 The split slider allows for an easy entrance, and three 4x7 openings lead into separate goat stalls. The customer wrapped the porch posts to match the white trim which turned out great. Overall, an outstanding finished product.